Many instructors teach both indoors (studio) and outdoors (mobile device), each providing the instructor with unique advantages that the V1 platform supports. With that being said there are certain advantages that teaching in studio gives instructors that is simply not available on the go. That is why V1 has made it a priority to provide turnkey hardware and software solutions for golf instruction studio build-outs or upgrades. Both students and instructors will find optimal conditions for video capture and learning, while eliminating the need to worry about the weather. 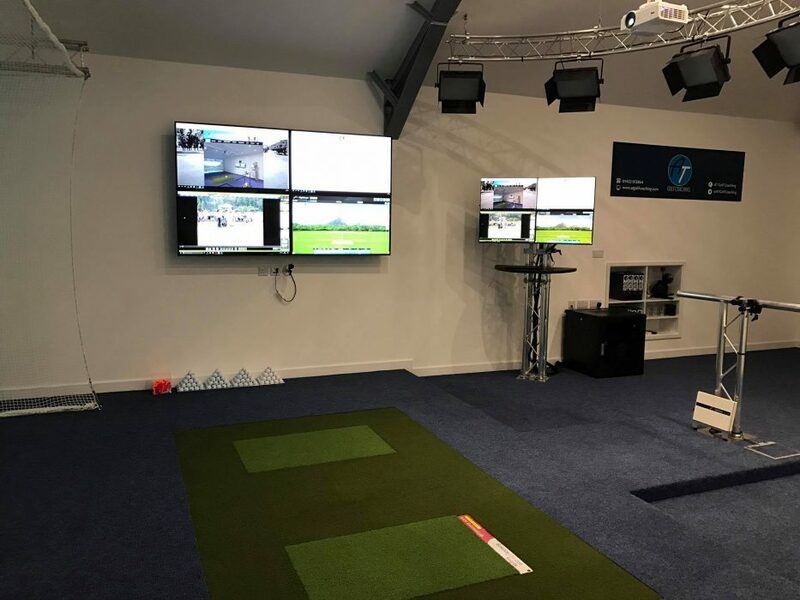 An indoor studio provides controlled temperature, lighting and sound to ensure the best experience for both golfer and teaching pro. Professionals across the globe can teach 365 days a year and customize a studio to their needs leading to more lessons and higher profits. In the sanctuary of the studio students don’t have to anxiously worry about other people looking at their swings or golf shots as they learn new mechanics. Reducing the intimidation factor is of huge importance, especially for beginners. A studio provides the ultimate comfort, allowing for maximum growth and learning. Indoor studios are great because they force the student to focus on the process rather than the result. When outdoors the student can get distracted watching the ball fly and become overly concerned how far it went, and or what direction it traveled. In an indoor studio the student and instructor can focus on the step by step process of the swing. 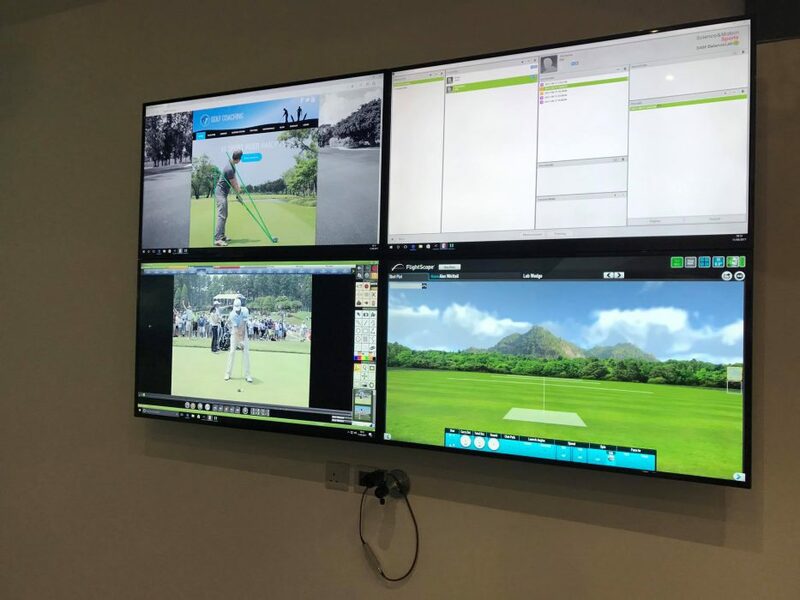 When you combine the studio environment with the most advanced video analysis software available along with powerful high frame rate cameras that capture up to 240 frames per second in HD quality, with swings being displayed on quality monitor it creates a powerful opportunity for improvement. The instructor can use the more powerful toolkit in the desktop software to analyze the swing from start to finish. Indoor studios allow Instructors to be more efficient. No need to drag teaching aids across the driving range, and struggle with getting the right light or the correct camera angle. There is little set up needed between lessons allowing instructors to maximize their time and give more lessons and better in a day which means more money in their pocket. 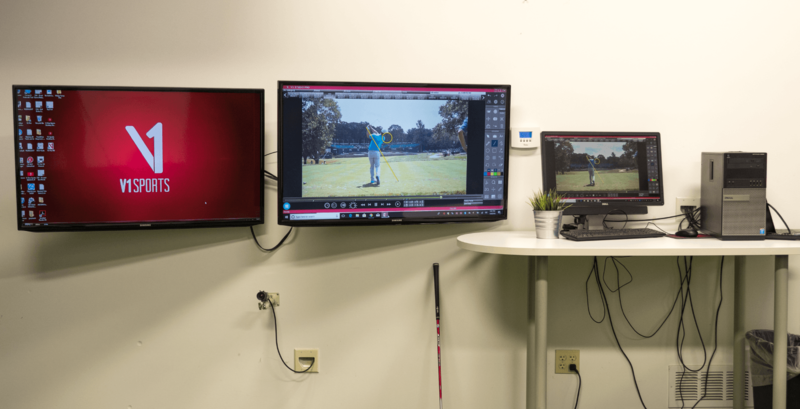 Some instructors will capture video with the student out on the range with their mobile device and then come inside to use their studio software and wired microphone to create and deliver a powerful digital follow up lesson. Tap into V1’s extensive knowledge base on hardware, cameras, lighting, studio design, setup, and installation. 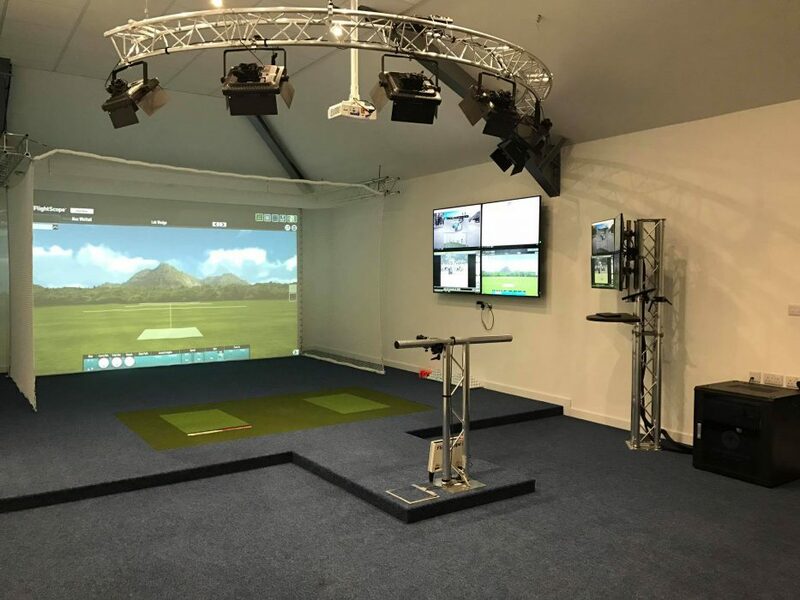 The V1 team has two decades worth of experience installing studios for some of golf's biggest academies, golf schools, instructors and professional players.